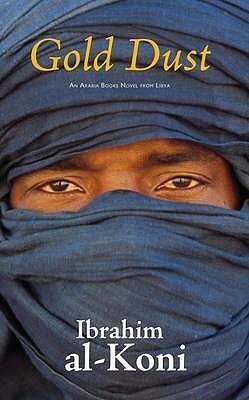 Upon reading that al-Koni was a Libyan Tuareg, writing in Arabic, who had been translated into English, and now had been shortlisted for the coming 2015 International Booker I knew I had to read his books. I was then even more amazed that his books were in my local Library. I tackled this one first just because it was a short one. It tells the story of Ukhayyad and his thoroughbred Mahri camel whom he deeply loves. Their relationship is one of both physical interdependency and spiritual communion, and one can read the camel as being a manifestation of Ukhayyad’s untamed self. A tribal sheikh tells Ukhayyad: "We always say that the Mahri is the mirror of his rider. If you want to stare into the rider and see what lies hidden within, look to his mount, his thoroughbred . . . Whoever owns a Mahri like this piebald will never complain for want of noble values." Their story is set at the time of the Italian occupation of northern Libya and its associated warring disputes, so I am surmising the early part of the 20th century. This would still have been a time of Tuareg cross Saharan caravans and a primarily tribal nomadic lifestyle. Unfortunately for the young man, he pays a heavy price for his dedication to his camel, having to give up his wife and child, kill a man who tries to swindle him, and isolation and rejection from his family and tribe. The camel had saved his life once when, thirsty, he found a well but it had water only in its depths and there was no bucket to pull it out. Instead Ukhayyad jumps in the well tied to his camel who then pulls him free. The bond between man and animal is surpassed by nothing and no one for either party. The reader is touched by the camel’s dogged determination to return to the young man when he is pawned for grain during the devastating famine which places Ukhayyad, his wife and child in danger of death. However the young man forgets his oath and pledge to the goddess Tanit made to save his beloved Mahri. Finally hunted by relatives of the man he had killed he is chased to the remote rock caves at Jebel Hasawna. He attempts to finally say goodbye and send south his camel to safety and freedom in the deep Sahara and alone in the caves he is haunted by the prophetic cave art of ancient hunting scenes and the cries of djinn and his pursuers. The book reminded me in this aspect of Naguib Mafhouz’s A Thief and The Dogs, and of Paulo Coehlo’s The Alchemist in its fable like construction and moral tale. ashrambling’s verdict 3* A classic story of brotherhood between man and animal, the companionship that is the difference between life and death in the desert. On one hand, it is a story of endurance and love across the desert voids, and on the other it is a parable of survival human society with al its own pitfalls.